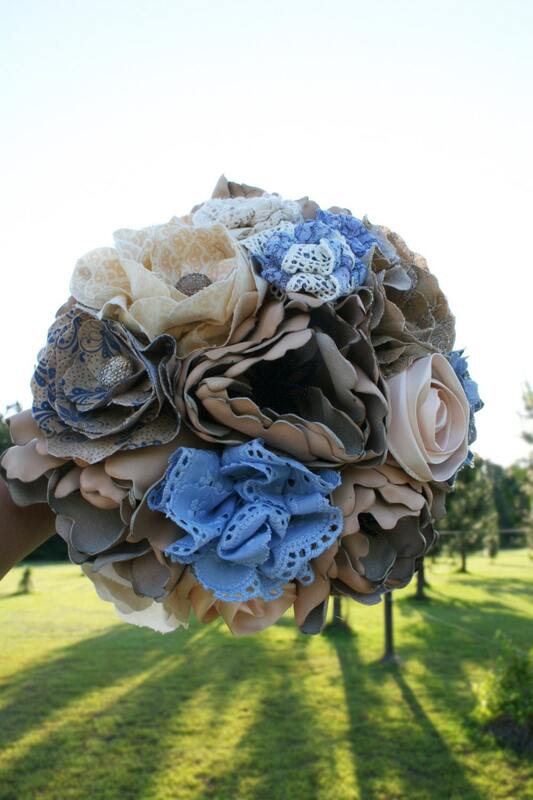 Burlap, lace, leather, and fabric is an excellent combination for bridal floral accessories. Its rustic but elegant and truly beautiful. 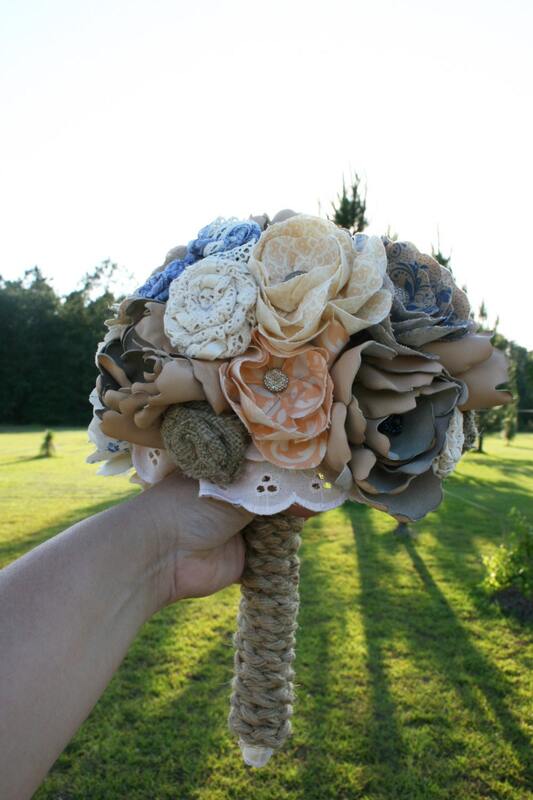 The earthy and neutral tones are perfect for any wedding whether it's a rustic, beach, western, or church wedding. 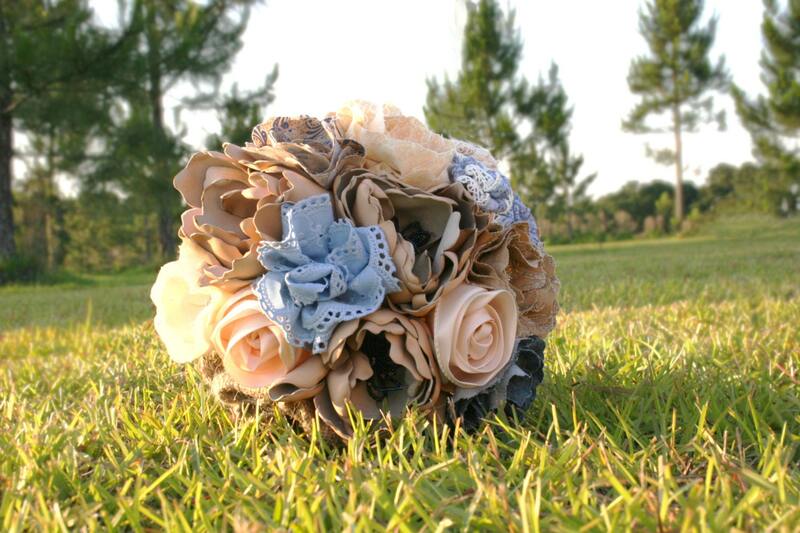 Beautiful, handmade peach leather peonies are incorporated trhoughout the bouquet. 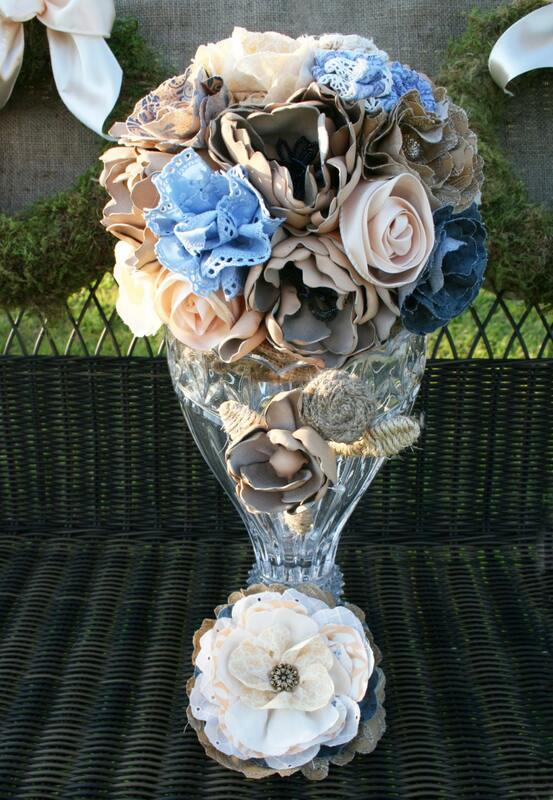 This three piece package consists of a 9 inch bridal bouquet, a two flower boutonniere for the groom, and a beautiful hair comb with a 5 inch flower. If you want to expand the package to include bridesmaid's bouquets and boutonnieres for all the groomsmen send me a convo. 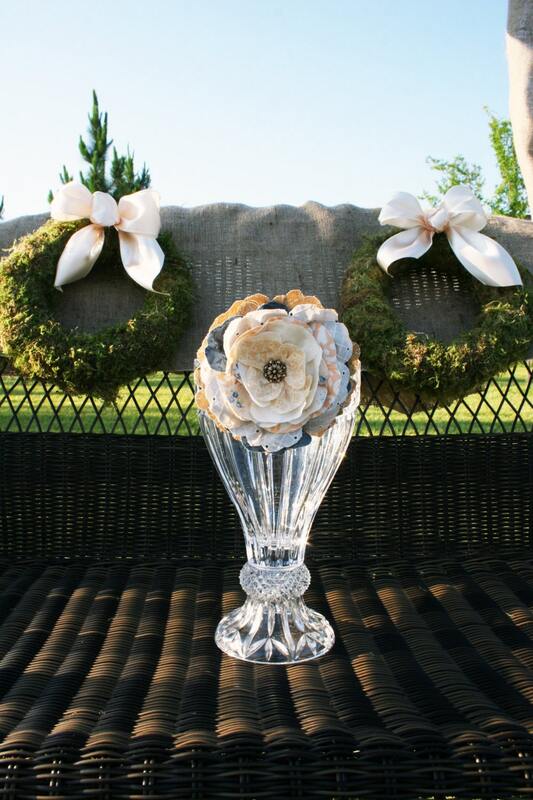 Corsages and flower girl accessories are also available.